For Angela Sawan, a nutrition and dietetics graduate from the American University of Beirut, healthy eating might seem second nature. But the 30-something food science expert, who formerly worked in operations at Classic Burger Joint, will readily admit that what they teach you in the classroom holds little water in real life. The cookie cutter method that often forms academic curricula is not only tedious, it doesn’t apply to every human being. Each body is metabolically unique, and it’s important to tune in to its needs so that you become the healthiest version of yourself. 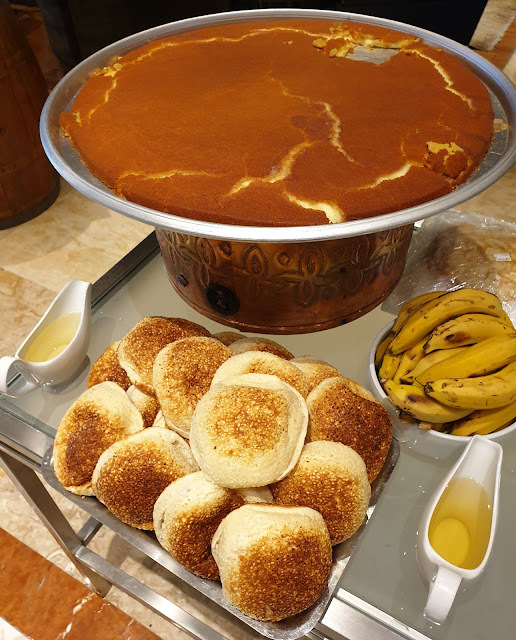 I have definitively found Lebanon’s tastiest, fluffiest “sfouf,” or turmeric sponge cake and, in so doing, stumbled upon one of the best-value Sunday lunch buffets Beirut has to offer. Let me unpack that statement bit by bit. 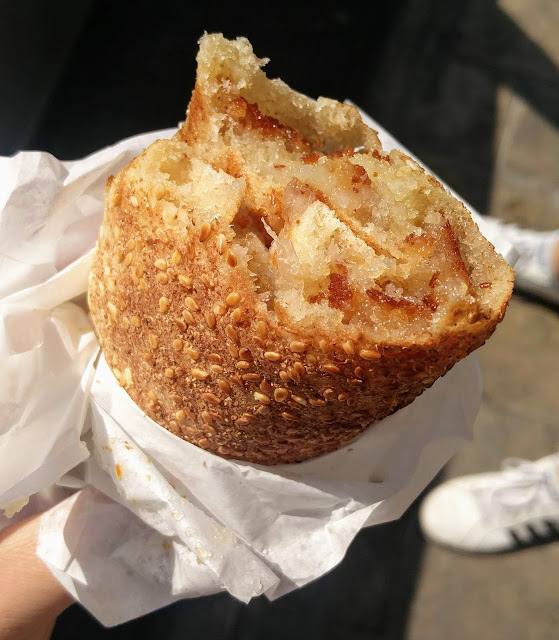 My favorite Lebanese dessert isn’t shockingly baklawa, or knefeh, or even 7alewet el jibn. Blasphemous, right? I actually worship the Lent-friendly, yellow-tinted treat called sfouf, not specifically because it’s so darn healthy, unfettered by butter and eggs. That’s just an added bonus. The real reason is in the crumb's consistency: if done right, it’s dense, but not chalky; fluffy, but not airy; sweet, but not decadent. It pairs perfectly with café blanc, tea, and coffee. Last weekend, I took my toddler for a stroll in downtown Beirut. It dawned on me as we were scaling the corridors of Beirut Souks that it had been nearly a year and a half since I last graced the area. I worked in the Riad el Solh stronghold of a leading local bank for exactly five years. Believe me when I say no one has paced the historic downtown as often as I have. 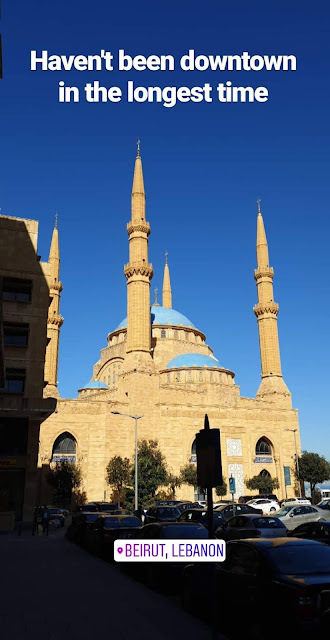 I’d arrive a good half hour before the 8 AM business day commenced, packing in a brisk 3-km walk from Zaitunay Bay and into Minet el Hosn, weaving through Beirut Souks before I crossed over to Banks Street. At lunch time, I would pace the shop-lined streets of Foch and the Souks, sloughing off hours of sedentary movement intrinsic to any office job. 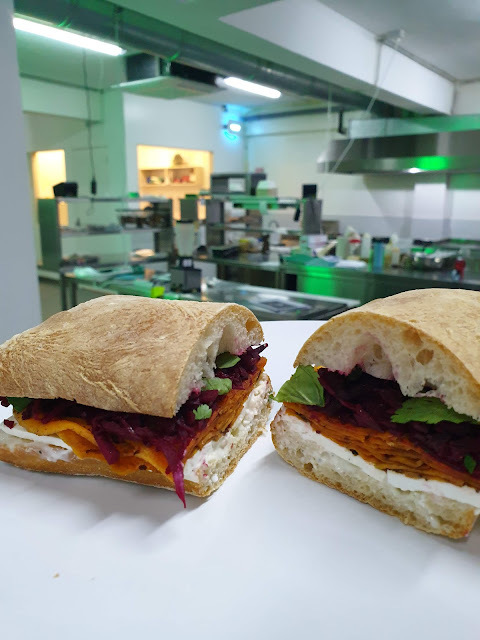 And after work, in a bid to avoid rush hour traffic, my feet would yet again retrace many of the paths I’d exacted during the day, as I tucked inside the TSC Signature gourmet supermarket for a snack or shawarma wrap and a chat with the friendly staff. These days, if you navigate the “foodie” social media accounts popular in your community, you'll be swamped with restaurants that are trending. And by trending, I mean eateries that have either newly opened and are hosting those foodies over free meals or sponsoring content on their pages to reap exposure. I’m not bashing or criticizing this practice, per se. Such is the pervasive marketing agenda du jour. But what about an honest-to-goodness recommendation about a hidden gem independently stumbled upon? Who remembers the good old days of yore when bloggers (you know, that nearly obsolete breed of niched experts who write) followed their own hearts (and tummies) in search of the best, tastiest, most memorable item or experience?